There are a lot of concerns regarding the safety of the medications that are available for treating common cold symptoms in kids. This has led the parents to start looking for alternative medicines for cold and flu. The FDA has warned people from using the popular over-the-counter flu medications for children that are younger than 2 years old since there had been reports that these medications can cause serious harm to the kids and can even end up killing them. The FDA has further advised that nonprescription medications like antihistamines, cough suppressors and decongestants should not be given to children who are in between the ages of 2 and 5 years. The safest and most effective way of treating cough is using home remedies for cough in kids that have been proven by other people. The following home remedies for cough in kids can help relieve cough in your babies, but remember that coughing that is not letting the child to sleep at night or has not improved even after the passage of ten days becomes a cause of concern and should be reported to the doctor immediately. Avoid giving honey to kids under 1: Children whose ages lie in between 3 months to a year can be given apple juice or warm water. Keep the dosage at about a maximum of 3 teaspoons. You can give this dose to the child a maximum of 4 times a day. It is not safe for a child of this age to be given honey so avoid its use. Use the correct dosage for kids of different ages. Give half a teaspoon of honey to children who lie between the 2 and 5 year bracket. Increase the dose of honey to 1 teaspoon for children having ages between 6 to 12 and to 2 teaspoons for those who are older than 12. 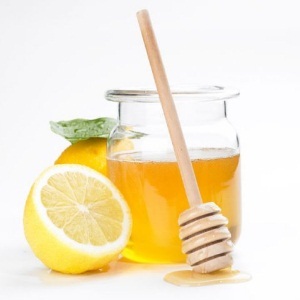 You can give honey about 2 to 4 times to the child depending on the severity of his coughing. More precautions. You must avoid buying honey cough syrups from drug stores because they have lots of preservatives in them. Children that are older than 6 years of age can be given cough drops or even hard candy for soothing the irritation caused in the throat because of the constant coughing. The use of essential oils in the form of a chest rub can help in treating the congestion felt in the chest and the nose. 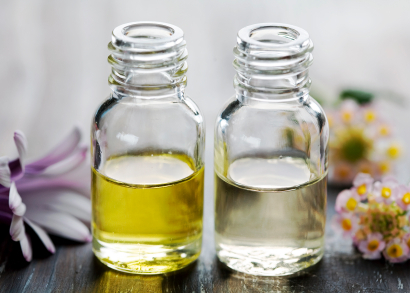 To make the homemade herbal oil you need to mix a drop each of essential oils of eucalyptus, sage and peppermint in olive oil (organic, 2 tbsp.). 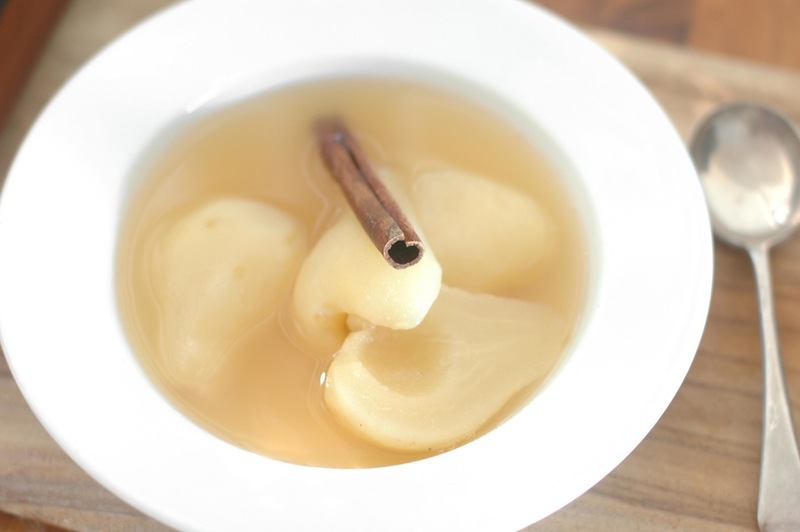 Organic pear is also a great home remedy for treating dry cough. You just have to take an organic pear and cut it in equal halves. Now sprinkle cinnamon over the pear halves and let them bake for about half an hour at 350 degrees. Now remove the skins of the pear and eat it before going to bed. 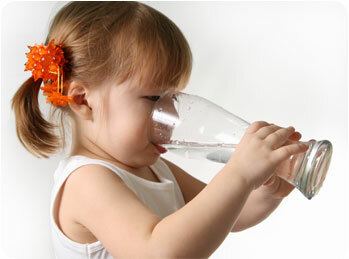 Being hydrated is extremely important for children experiencing cough symptoms. For babies, milk is enough and there is no need to give water. The kidneys of babies are not capable of processing water so sticking to breast milk is the right choice to make. For older children, giving water and juices is a good idea to keep them hydrated. Reliving congestion and mucus can help with the general cold or illness that is the culprit of kids’ coughing. Moist steamy air can be help in unblocking the nasal passages that have been blocked by the excess mucus. This steamy air can be obtained by making use of a humidifier or by taking the child in a steaming bath. Giving the child a warm bath is also helpful in decreasing the chest congestion that he has been having. Adding a bit of menthol oil into the bath water can help in decongesting the baby’s chest. Vapor rubs can be very helpful in putting a child to sleep. The latest research suggests that vapor rubs do not have any kind of effect in decreasing the congestion in the nose or chest of the cold patients however they do create a cooling sensation in the nose which makes the patient think as if they are breathing more easily. Rubbing the vapor rub on the chest and the neck of the child can help him relax. Learn how to use baby vicks rub to treat cough in your baby. Another home remedy for nighttime cough is to give the baby a warm bath. Take the child into the shower and let the steam build up for a minute. Now add some drops of sage of eucalyptus oil in to the bathtub and let the child breathe in, it is going to help in easing the chest congestion he is having. If the child is having a wet cough with lots of phlegm then it is a good idea to stop giving him dairy products. These products are known to aid the production of mucus and therefore should be avoided until the symptoms improve. Smoking around children that are suffering from cold can inflame their airways which would further intensify their cough. Thus, don’t smoke around children. Also, avoid the use of firewood and grills as they too can create smoke which can be harmful for the children suffering from symptoms of flu and cold.